AMSTERDAM, 31/01 - The Netherlands Competition Authority (NMa) has approved the acquisition of Shipdock by Damen Shipyards. An earlier attempt had failed. The NMa’s investigation showed that there will still be enough companies alongside Shipdock and Damen from which shipping companies can choose when they want to have their ships repaired and maintained, the competition authority said. In 2008, Damen’s takeover attempt on Shipdock failed, even though the NMa had in fact given the green light for the deal. But after months of negotiations, the sale then fell through. In its investigation, the NMa focused on the consequences for the competition regarding the repair and maintenance of big naval vessels. The navy contracts this work out to private shipyards because its own docks are not large enough. For these contracts, which are awarded via tender, the navy has to date only approached Dutch companies for reasons of national security. “This means that only Damen, Shipdock and Keppel Verolme are eligible for these contracts, because only their docks are big enough,” but this is sufficient, according to the NMa. AMSTERDAM, 31/01 - The takeover of Mediq by Advent International of the US has gone through. The Americans have agreements for tendering of 96.1 percent of the outstanding shares. Last week, Advent persuaded dissidents Delta Lloyd and Navitas to tender their shares after all with its sweetened offer of 14 euros a share. ING has also now decided to sell its Mediq shares to Advent. Mediq will be taken off the Amsterdam bourse as a result of the takeover. Advent launched its takeover attempt on the pharmacies chain last September. The Americans initially offered 13.50 euros a share, valuing Mediq at 775 million euros. This was not enough, especially for Delta Lloyd. AMSTERDAM, 30/01 - Philips is selling its last activities in the area of consumer electronics. The sale to Funai of Japan will raise 150 million euros, the technology concern announced with the publication of its annual results. The activities being divested are in the area of audio, video and entertainment, also called lifestyle entertainment. Last year, Philips had already brought its TV arm under a company controlled by China’s TPV. The transfer of the audio arm and accessories is to be completed in the second half of this year. The video arm will only go to Funai in 2017. As well as a cash payment of 150 million euros, Philips will receive a licence fee from the Japanese for the use of its brand name for at least 5.5 years. Within its Consumer Lifestyle division, Philips will now focus on personal care, household equipment and coffee machines. There the company believes there is also the most growth to be achieved. Philips is also a big player in the area of medical equipment and lighting. Philips reported yesterday that it made a net loss of 355 million euros in the 2012 fourth quarter. This resulted from a fine of 509 million euros from the European Commission for suspected participation in a picture-tubes cartel. Philips plans to object to the fine. Otherwise, the results were in line with analysts’ forecasts. AMSTERDAM, 22/01 - Investment fund Value8 has acquired Eetgemak, a company that provides meals for healthcare institutions among other things. Financial details were not disclosed yesterday. No less than 15 players, mainly from the private equity corner, are reported to have been interested in the company. “We are pleased that management opted for us. At the request of Eetgemak, we are not disclosing the price of this transaction,” said bourse-listed Value8 CEO Peter Paul de Vries. Value8 has already completed the proposed takeover of a majority stake. The deal closed on 18 January. AMSTERDAM, 19/01 - French publishing business Editions Lefebvre Sarrut is acquiring the Dutch publisher Sdu, it was announced Friday without disclosing financial details. Sdu is currently owned by AAC Capital Partners and Allianz Capital Partners. Management of Sdu is supporting the takeover. Editions Lefebvre Sarrut is an originally French publisher and an independent family concern, active in the European market in the area of professional legal information. The acquisition of Sdu dovetails with the company’s strategy of seeking to strengthen its position in the legal domain, as well as expanding its market position in Western Europe and enlarging its product range with new services. AMSTERDAM, 17/01 - BAM is acquiring Sutton Group, a UK company specialising in facility management. Its subsidiary Sutton Maintenance will also be absorbed, the building company announced yesterday. The purchase is an important element in the strategic agenda for the period from 2013 through 2015, says BAM chairman Nico de Vries. He did not disclose the takeover price-tag. BAM expects its acquisition to add 16 million euros to the sales that the building company generates with facility management in the UK. The number of employees will rise by over 100. Sutton was set up in 1978 and works from offices in London, Luton, Manchester and Glasgow. It has shops, shopping centres, offices and apartment complexes in its portfolio. ALMELO, 17/01 - Producer of specialist materials TenCate is acquiring a UK counterpart, Amber Composites, it announced yesterday without giving financial details. Amber Composites makes thermo-hardened composites for the industrial and automotive market. 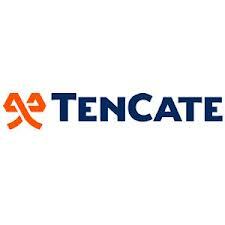 TenCate also makes such material, but then mainly for the aviation and space industry and for use in radar domes. The activities of the Dutch company in this area are also concentrated in the US and will expand to the European market thanks to the acquisition. PAPENDRECHT, 12/01 - Boskalis has obtained the approval of its shareholders for the takeover of Dockwise, and it raised 320 million euros in a share issue within a few hours in order to be able to complete the transaction. Shareholders backed the acquisition of Dockwise on Thursday. A few hours later, the share issue to raise 320 million euros was announced for part -financing of the takeover. The price-tag for Dockwise was 1.2 billion euros. The issue was completed before midnight. The price per new share was fixed at 33 euros, a discount of 2.8 percent compared with Thursday’s closing price. Boskalis has placed about 160 million euros in shares with large shareholder HAL Investments, which was participating in the issue proportionally to its stake of 33.88 percent, and with Project Holland Fonds, large shareholder of Dockwise. The rest were put on the market via a so-called accelerated bookbuild. Interest was particularly strong from the Benelux countries and the UK. AMSTERDAM, 10/01 - Strukton Civiel, a subsidiary of Oranjewoud, has reached agreement with Ooms Bouw & Ontwikkeling on the acquisition of the activities of Unihorn India. The transaction is an expansion of the transaction of the takeover of Ooms Civiel, which took place on 5 January. The activities of Unihorn India will at a later date be brought under Antea Group, the foreign consultancy and engineering bureaus within the Oranjewoud group. Unihorn India, set up in 1987, is a services provider in the area of infrastructure for motorways and airfields. Financial details were not disclosed. AMERSFOORT, 08/01 - Dairy giant FrieslandCampina is expanding its cheese activities via the acquisition of cheese specialist Zijerveld. Zijerveld generates annual sales of over 400 million euros and has a total workforce of 440. The family company from Bodegraven has a big range in sectors including farm cheeses, Noord-Holland cheeses and goat’s cheeses. "The acquisition underlines our ambition to grow in the market for speciality cheeses,” said FrieslandCampina yesterday. Last month, the dairy concern announced plans to start selling branded cheese on the French market via a partnership with French company Bongrain. Last summer, the company took over IDB Belgium, one of the biggest Belgian cheese packers.